7/7/2018–STANLY COUNTY, NC–The North Carolina Wing of the Civil Air Patrol (CAP) held its summer Encampment on 23-30 June 2018 at the Stanly County Airport. More than 200 cadets, cadet staff and senior members took part in this exciting week. The Encampment’s Commander was Maj Brendan Kearns and the Cadet Commander was C/Lt Col Kyra Willis. The NC Wing thanks both of them for organizing and executing such a great event. Many memories and friendships were made during the week and leadership skills were sharpened as well. Training and exercises during the week included aircraft operations, powered O-flights, search and rescue, firing range, drill and helicopter flights. “We want to introduce aviation to our cadets,” said Lt Col Chris Bailey, who served as the Encampment’s Air Boss. 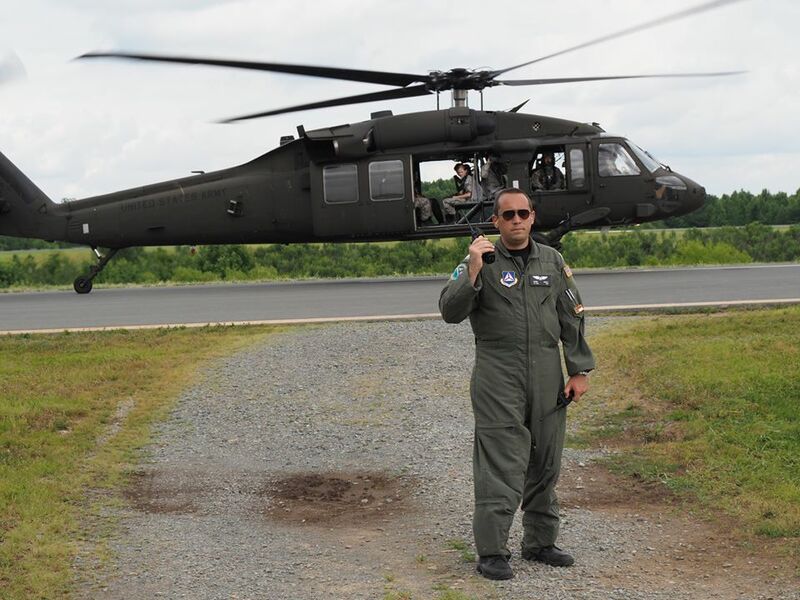 When he is not volunteering with CAP, Lt Col Bailey is the Search and Rescue Coordinator for NC Emergency Management. 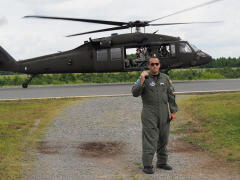 One highlight of the Encampment was the NC Army National Guard bringing two Black Hawk helicopters to the airport and providing cadet flights. The NC Army National Guard flight crews also provided the cadets with an informative Q&A session prior to the flights. In addition, the NC Wing used its own aircraft to provide powered O-flights for the cadets. The Encampment culminated in an exciting graduation ceremony including a Pass in Review. All the cadet graduates marched pass the presiding officers: Col John Knowles, MER Commander, Col R. Jason Bailey, NCWG Commander, and Maj Brendan Kearns, Encampment Commander. During the graduation ceremony, Col Knowles, MER Commander, presented two Ira C. Eaker awards. The first Eaker award went to C/Lt Col Joshua Creech of NC-126 (Goldsboro Composite Squadron). C/Lt Col Creech has attended six encampments and has served in multiple positions including first sergeant and cadet commander of NC-126. The second Eaker award was presented to C/Lt Col Nicholas Williams of NC-145 (Franklin County Composite Squadron). C/Lt Col Williams was the Cadet Deputy Commander for Operations and has attended several previous encampments. He also served as Cadet Commander at the Wing’s most recent Ranger Training Weekend. Col Knowles also presented CAP’s highest award, the Silver Medal of Valor, to C/1st Lt James D. Edwards, IV, of NC-126. C/1st Lt Edwards distinguished himself by conspicuous heroic action where danger to self was probable and known, at Wrightsville Beach, NC, on October 7, 2017, by leading the water rescue effort of six individuals caught in a very strong riptide. As the cadets marched proudly by, the assembled parents, family and friends cheered loudly as the cadets celebrated all that they had accomplished during this inspiring and educational experience.